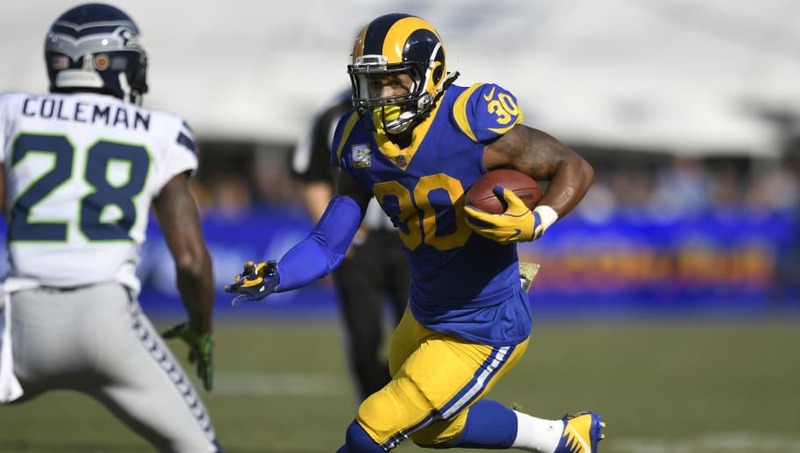 Todd Gurley is widely considered the best running back in the NFL and has scored the most fantasy points out of any skill position player this season. Yet, even fantasy's top scorer can't be the top projected point scorer every week. Some experts, including Pat Mayo, have Gurley ranked below other backs, including Christian McCaffrey, Saquon Barkley, and Ezekiel Elliott in Week 14. You'd think a player who's match-up proof and averaging 25.49 FanDuel fantasy points a game would be No. 1 week in and week out, right? Well, not knocking Gurley in any way, but you can make a strong case that the trio ranked above him have every right to be there. ​McCaffrey, Elliott, and Barkley have seen an increase in usage in recent weeks and have more favorable matchups than Gurley, who is facing the Chicago Bears' second-ranked run defense this weekend. ​Despite being ranked outside the top three, Gurley is still a must-start as we enter the fantasy football playoffs. It's just interesting to see the NFL's best player get knocked down a peg or two, in the week when the games matter the most.